Kellan Thorne loves the Christmas season. He plans a well-deserved rest consisting of parties and watching Christmas classics. However, fate has different plans for Kellan and his Soulborn who find themselves swept up with gods, goddesses, and mantles of immense power. 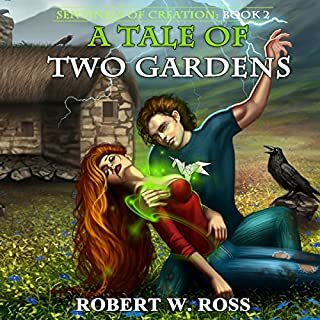 As the eternal battle between order and chaos continues to play out, Kellan quickly finds himself at odds with forces beyond both his understanding and ability to control. 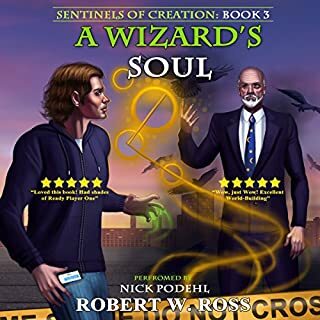 To safeguard all those he holds dear, Kellan must breach a celestial treasury sealed shut at the dawn of creation and pull forth a wizard's soul. Brilliant story from a brilliant author. Amazing story and narration. I'm a big fan. This series is one of my favorites, not only do I have every physical book but also have every audiobook. The storyline, writing, and narration demonstrate attention to detail and a lot of hard work. I especially like that the story shows the good, bad and a lot of grey as each character works to find their way. If you are a person that likes a good story then start with the first book and work your way through the series. You will not be disappointed. 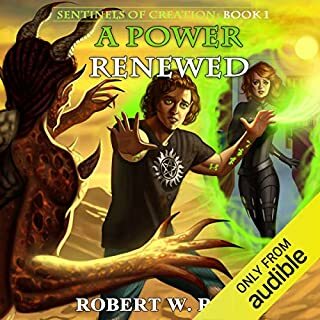 Where does A Power Renewed rank among all the audiobooks you’ve listened to so far? At the top for Science Fiction. What was one of the most memorable moments of A Power Renewed? The narration is spot on. The references to other books, movies, and pop culture add depth to the story. The character development draws you in and you understand the motivation of each character. The characters come to life and pulls the story along. When the main character kept his promise (don't want to spoil the book). I thought the book had great writing, well-crafted plot and was a joy to listen to. I could hardly wait to finish the story.